Saturday was an amazing day for Axacon. I am not going to recap the whole event because you can read about Saturday’s events on my blog or on Jonathan Lane’s. But for me the highlight was the panel with Linda Alexander, the author of the new Steve Ihnat biography The Life and Death of Rising Star Steve Ihnat and Steve’s widow Sally Marshall. The panel was all about Steve, the man who brought Garth of Izar to life. Steve was a prolific actor and everyone seems to agree, with his love of acting and film (he was a director and producer as well), that Steve would have had a career like Clint Eastwood. Steve was working constantly in the 1960’s and only his untimely death at the age of 36 prevented him from being a household name. For me the highlight of the panel was when Sally, talking about Steve’s original costume that we had on display, said Steve’s DNA was in the costume, and now so was mine and they were forever mixed. It was a wonderful thought and coming from Sally, really humbling for me. 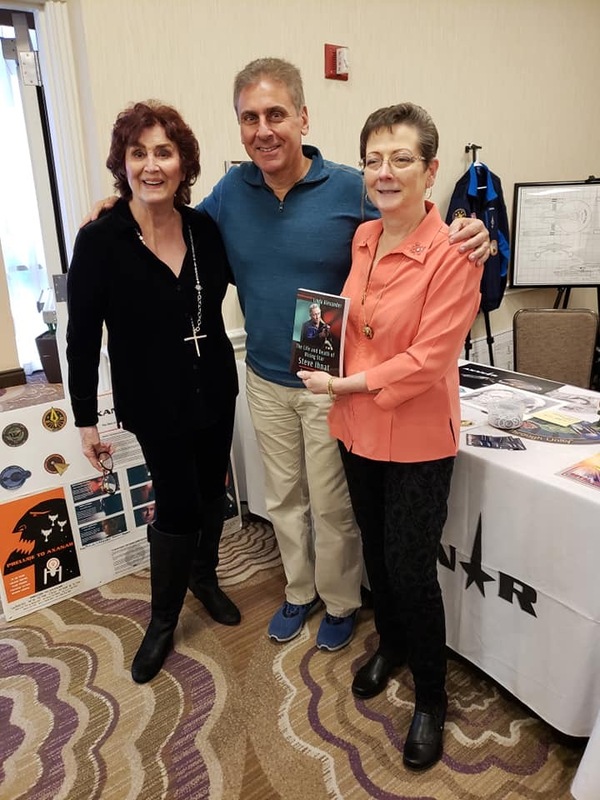 Later Sally and Linda were signing autographs at the Axanar Fan Group table and Sally told me she thought Steve would be proud of me for continuing his character. It was maybe the best moment of this entire Axanar journey for me. So a good day, and Axacon continues to be a huge hit. We are so looking forward to sharing the video with you all. 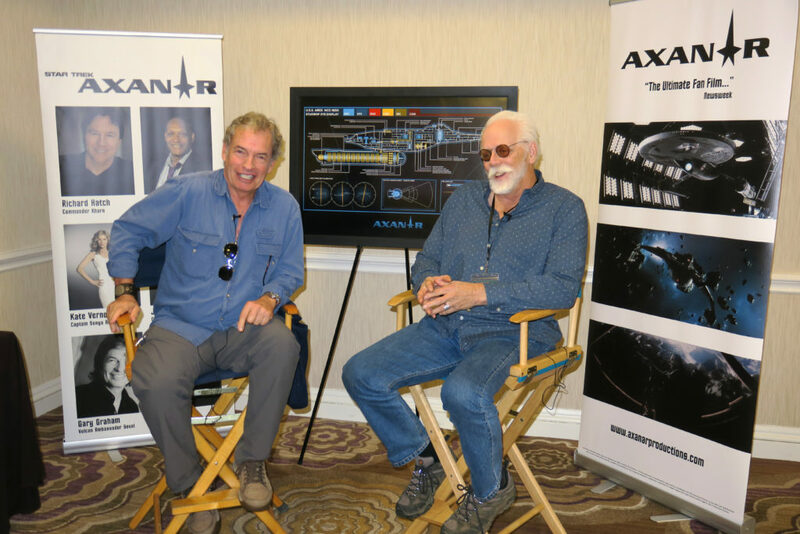 Sally & I were thrilled & honored to be a part of the Axanar event, Alec. Thank you for including us. We love you Linda! You and Sally were a hit! Hardly saw Gary. Had some great talks with JG and a short but enlightening one with Miss Sally. Read the book on the drive home. I’m glad I’ve been able to watch some of Steve’s performances thanks to MeTV. The con was great fun and we truly lost a great actor. 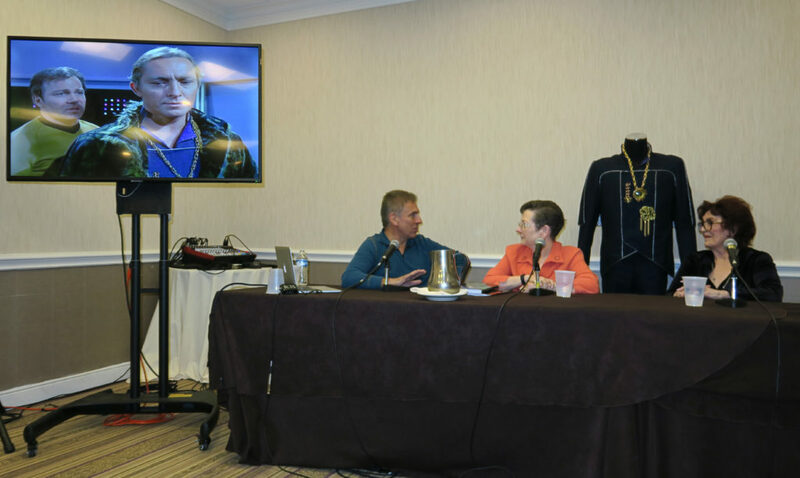 So nice to have his wife there and the tribute to his role Axanar and yourself exhibits. Great news, Alec, happy to see so much stuff going on around Axanar.